Hey guys and gals. You can have one post per member below to keep your badges and achievements updated if you wish. Remember only one per Lancer as to not have too many posts for Lancers to get back to to update. Also please keep your achievements in spoilers to avoid long posts. Thanks. Hello guys and gals and welcome to the PokemonLance forums. I started this forum on 3/16/2010 because I wanted to have a safe and fun place for lovers or Pokemon and video games in general to come and have fun. With the help of many dedicated Lancers it has become the place it is now. I also wanted the activities to be unique with different ways of challenging or battling. I am passionate about trying new things as you'll see lol. If it does'nt work then so be it at least we tried lol. I am also very passionate about the rules. They are there for a good reason. It helps to keep the forum a safe place to visit and not a hostile one. Those kinds of people will not last long here because I want everyone to express themselves without fear of ridicule. I work quite a bit and am married to Princess21352, a fellow Owner/Admin and my life partner. It's with her help that the forum started and she's an amazing woman and the nicest person you'll meet. Mess with her at your own peril lol. Some of you will be surprised but my favorite type is Water. I then grew to love Dragons, then Steel when Gold/Silver/Crystal came out. When I started the forum I gave my friends first choice on which Leader they wanted to be. My buddy and long time friend Yoda chose Water (ARRK lol jk). Truthfully I wanted to try another type that would be difficult to defend with many weaknesses and so I became the first Grass leader of the forum. This is where my love for Grass Types came in. My favorite Poke is my signature Pokemon Sceptile. Even though I have become the Dragon Leader I will always have a place for Grass types as it's the first ever Gym I became leader for. I also love all games Nintendo. 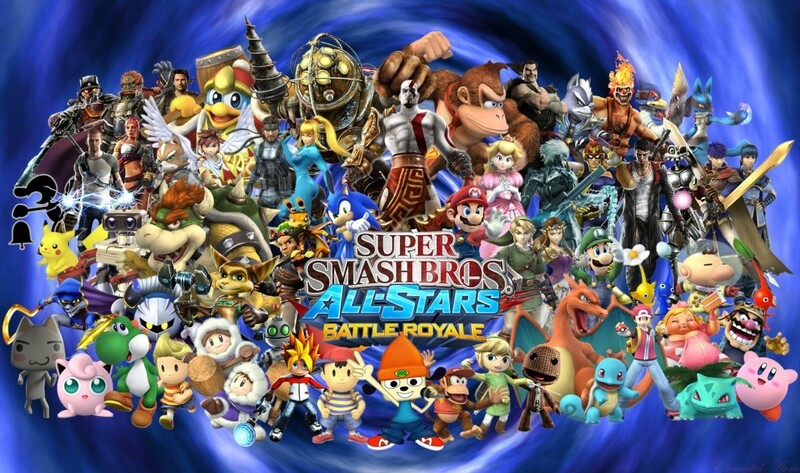 Some of my all time favorites are Mario Kart, Super Smash Bros, and of course Pokemon. I also love to read comic books and watch some anime. I love the Robotech and Dragonball Z series. I'll add more later I'm sure lol. Thanks so much guys and gals and remember our most important rule to have FUN. Hi, I guess. Not sure where to start. Let's see; I found this forum after meeting someone in a Youtube group, who invited me here. I wasn't very good at competitive battling, but after a while, I became one of the fiercest gym leaders today. I can be pretty bold and proud, as you can see. I'm an intellectual person, but I do make a few simple mistakes at times. I can't stand when people ask me questions that they could easily Google, or questions that's obvious to everyone but them. These are known as "morons". :U So basically, I don't have any patience for people who don't know anything, so if I came off as rude to a new member, or whenever someone asked something stupid, that's why. I'm here practically everyday, getting into misadventures with fellow members, sometimes getting myself into trouble. I'm not a patient person at all, I get anxious and may come off as rude sometimes, so if I ever did to someone, it wasn't intentional. (:U) Despite my constant offenses and not being a great battler in the beginning, I was the first member on the forum to obtain all 4th gen badges, even with the then veteran members having a head start. I'm currently working on being the first for all 5th gen badges. I have 8 at the moment, so I'm not that far behind. I use UUs and BLs in battle because they're very balanced pokemon with underrated potential, hence "Under Used". BL is just the banlist for UU. I only use OUs when absolutely necessary. Such as when I need something that an OU can do, but a BL/UU can't. 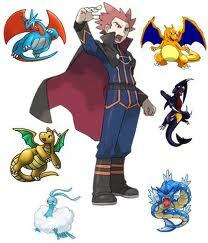 Being the Flying gym leader, I have all types to my disposal, and with my records, I'm a force to be reckoned with. I cannot stand people who think they can easily win because of my type, A.K.A. "cocky". My favorite Pokemon is Hitmontop. I like it's design, concept, movepool, and stats. My favorite type is Grass, and at one point I was protege for the Grass gym. I guess that's why I'm such a talented battler now. (Training under the main admin has it's perks.) My least favorite type is Fire. (Bet you didn't see that coming.) I don't like many Fire types much, only a few. And I rarely use the few I like anyway. Pokemon is my favorite franchise, first Pokemon game I've played was Pokemon Blue, and the first I actually completed was Pokemon Crystal. Nintendo is my favorite game company/service, while the Gamecube is my favorite Nintendo system, with the Gameboy Advance SP at a close second. I try to help out people the best way I can, as long as they ask me. Feel free to challenge or join whatever I have here, I'm almost always available. Badge pictures to come soon.